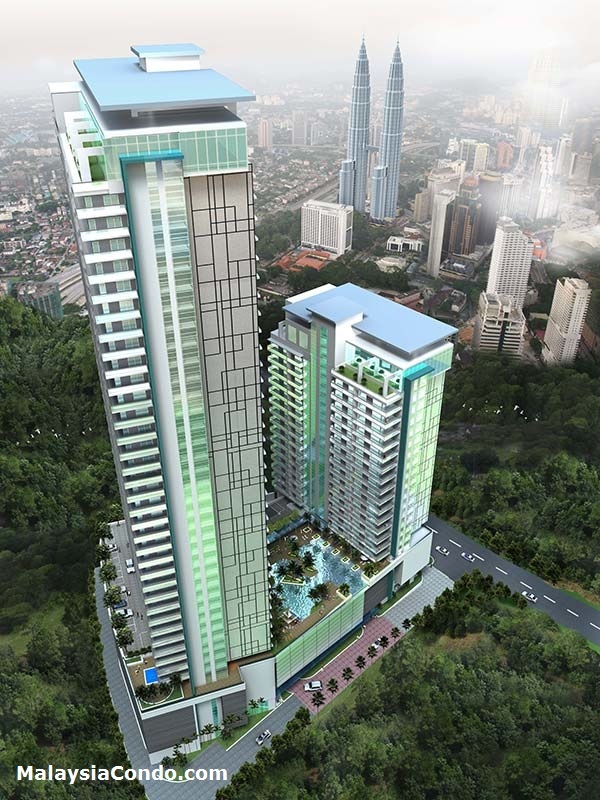 188 Suites Kuala Lumpur (previously known as Fraser Residence) is the second ‘golden triangle’ venture to be announced by Frasers Hospitality, the hospitality arm of property group Frasers Centrepoint Limited. 188 Suites Kuala Lumpur will be constructed on a piece of vacant land facing both Jalan Ampang and Jalan Sultan Ismail, next to Renaissance Hotel, is close to two light rail stations and surrounded by entertainment malls, tourist attractions and offices. Fraser Residence Kuala Lumpur comprises two towers with one and two-bedroom serviced apartments. It features a sky gymnasium, infinity lap pool, whirl pool and sauna. Built-up Area : 610 sq.ft. - 1,263 sq.ft.